Working tirelessly through the few illustrations and the extensive descriptions, coupled with knowledge gained from the excavation, it has been possible to create an image of the Palace that is unforgettable. The inner, or royal, courtyard was of a construction never attempted before, nor repeated since. It was a gigantic work of art. To see even this small representation of the building is to realize why Hoefnagel regarded it as one of the wonders of the world (the reason he painted his famous watercolour). Actually creating this model has, of course, called on the outstanding expertise of our dedicated model-maker. The Friends’ selection of Ben Ruthven-Taggart has itself proved sensationally successful. His knowledge and ability to so adequately overcome the problems involved in miniaturisation has been tested to the utmost — and not found wanting! The Model is constructed in a variety of materials. The main structure is built in wood with architectural details added in various plastics, fibre-glass resin and brass. The most fascinating feature of the palace was its fantastically designed stucco plaster panels decorating the walls of the inner court and the exterior of the building. There are 695 stucco panels in all. For the purposes of building the model it was not practical to carve each panel individually. Instead a total of 149 panels were made depicting gods and goddesses, battling soldiers in classical attire, the busts of Caesars and many other compositions of figures. 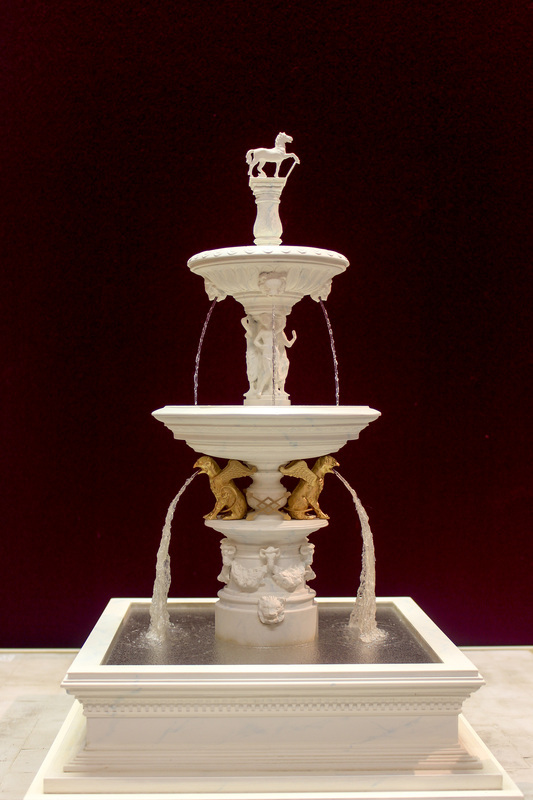 These master panels were carved and then cast in silicon rubber moulds and reproduced in plastic resin. The resin casts were arranged very carefully on the model so that no duplicate panels were near to one another. This gives the impression of each panel being unique. Between the stucco panels, there were on the original building borders of slate roughly 6" wide, carved with a gilloche pattern and decorated with gold paint. These were represented on the model using thin brass sheets which had been acid etched with the design of the gilloche pattern. The brass was sprayed with black paint and then gently sanded with emery paper so that the brass is visible in the etched pattern. This replicates the detail of the gold paint exactly. 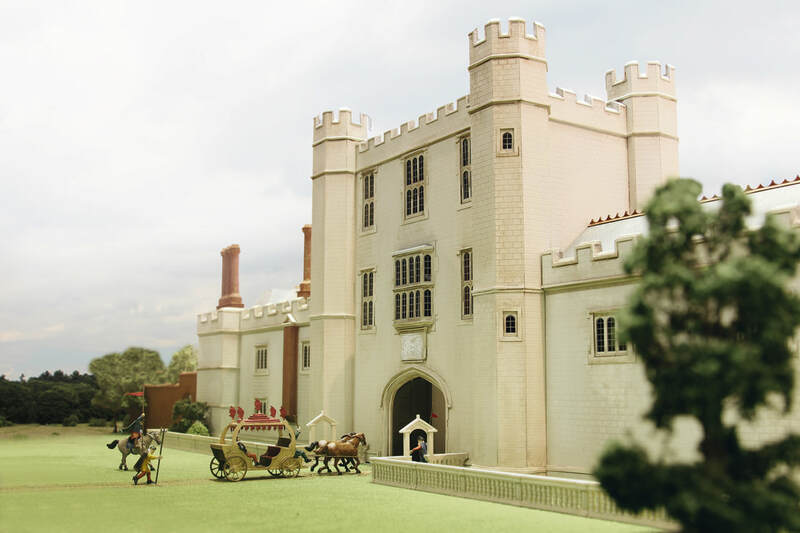 The great day for the Friends of Nonsuch came on September 6th when Professor Martin Biddle unveiled the model of Nonsuch Palace. 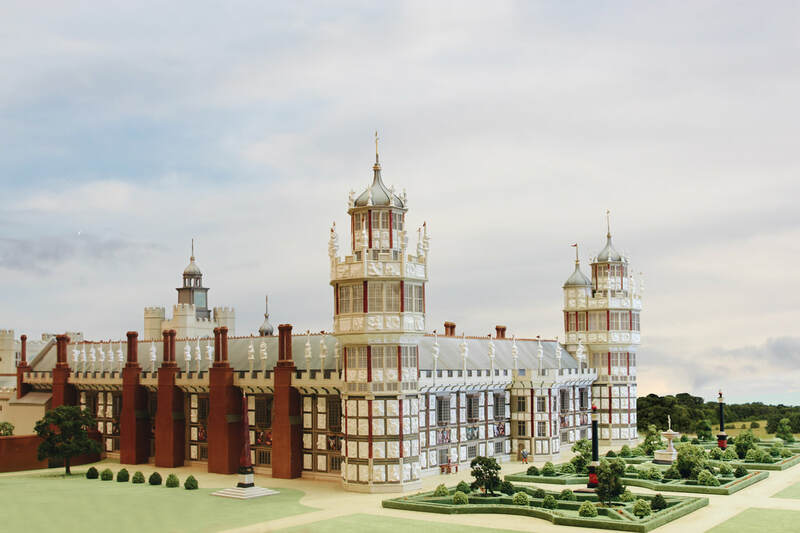 The model clearly shows, as no other medium can, that the ‘royal’ part of the palace was in reality as much a gigantic work of art as it was a building. The result is a triumph for the model builder, Ben Taggart, and a fascinating interpretation of Professor Biddle’s fifty-two years of research and a significant achievement of the Friends of Nonsuch. "We are now in the possession of a work of national importance and are taking on a duty to show it to as many people as possible."